Create a TFS Team Project via the web – Benjamin Day Consulting, Inc. So all the hype and heat seems to be with Visual Studio Team Services (VSTS) lately. 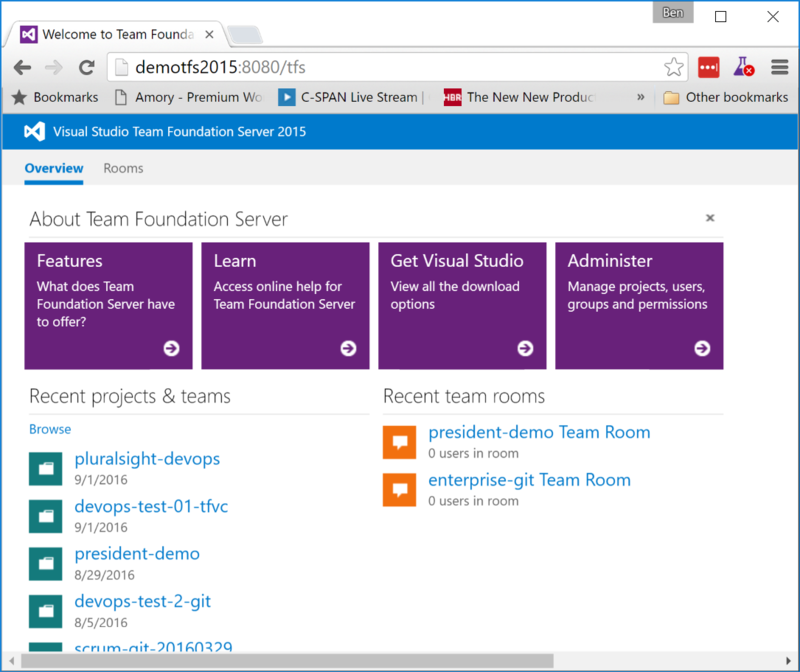 All the newest and coolest features show up in the cloud-based version of Team Foundation Server first. Well, there’s still plenty of cool stuff in the on-premise version of TFS2015, too. 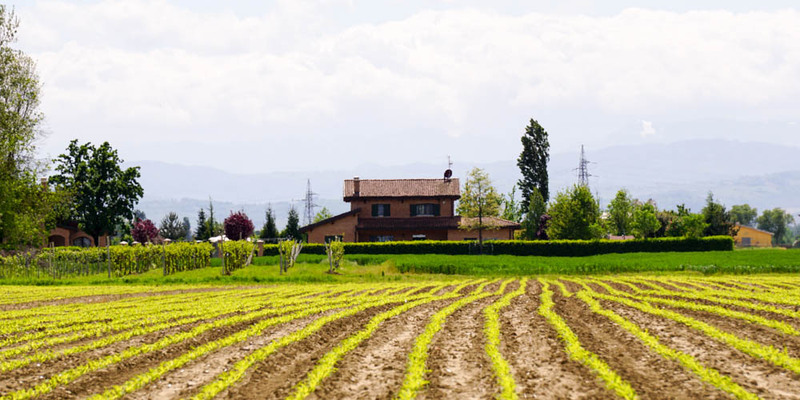 But sometimes these features can be a little bit hidden. For example, did you know that you that you can create a Team Project through your browser? You should now see the Administer your server page. If you have more than one Team Project Collection (TPC), choose the TPC that you want to create your new project in. If you only have one TPC, it’ll already be selected. In the bottom-right of the page, click on the View the collection administration page link. 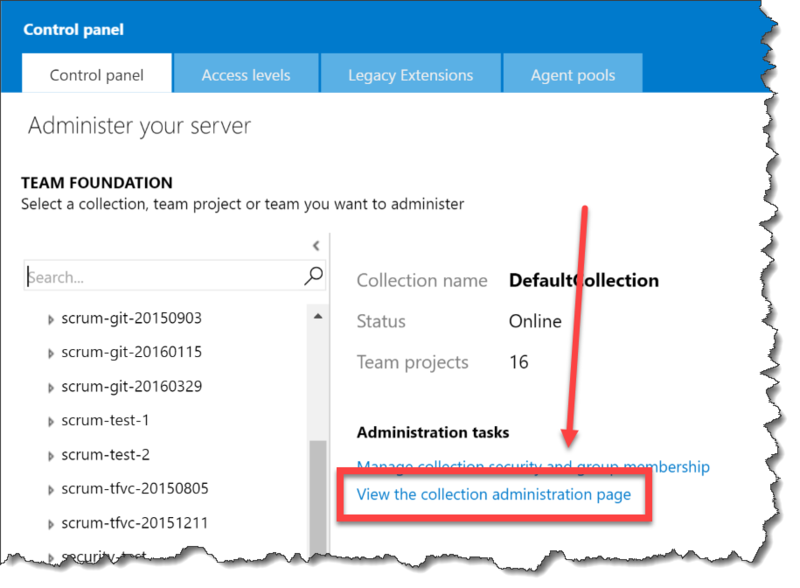 You should now be on the Collection profile page and you should see your list of Team Projects. 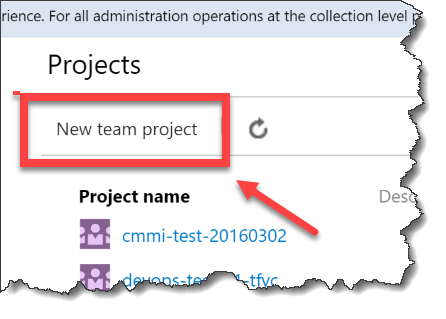 Hidden in plain sight just above the list of Team Projects is the New team project button. Click the New team project button. 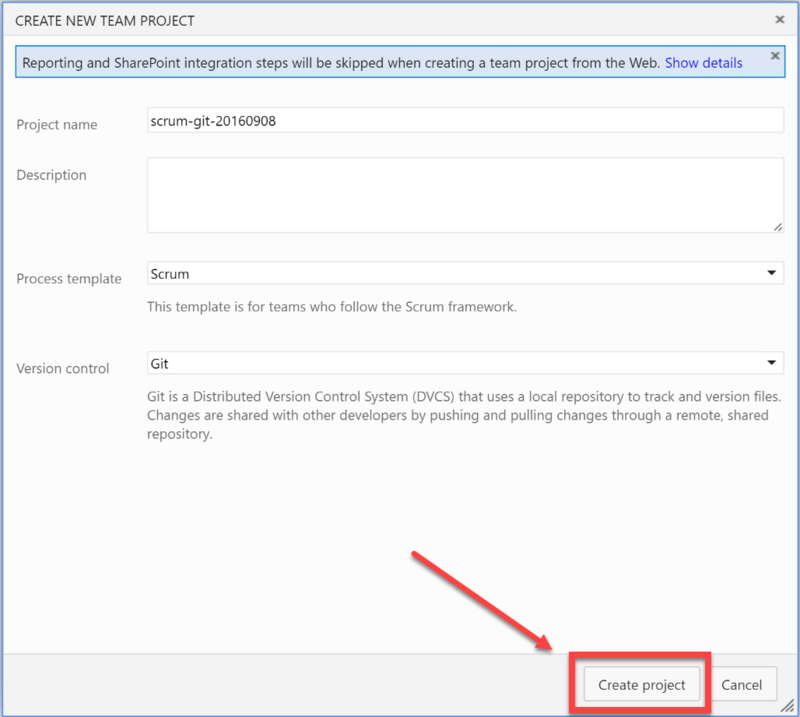 You should now see the Create New Team Project dialog. 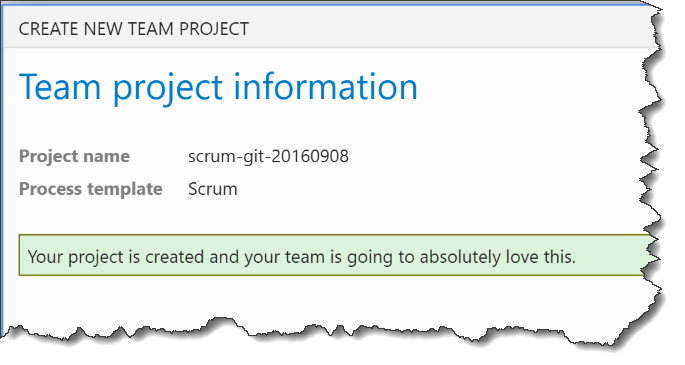 You’ll probably notice the disclaimer that says “Reporting and SharePoint integration setps will be skipped when creating a team project from the web.” As long as you don’t care about those two things, you’re fine. 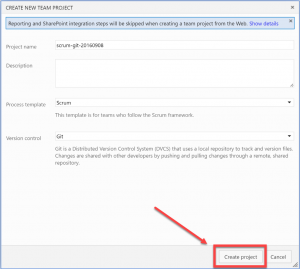 If you actually do want to use the Reporting and SharePoint integration, then you’ll need to create your project from Visual Studio. Populate the info for your project and click the Create project button. The project creation process will run for a bit and then you’ll eventually see the dialog that says that your project has been created. That’s it. It’s done. Enjoy. 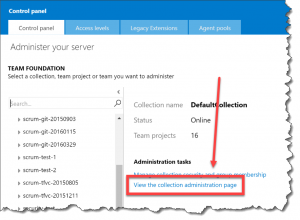 — Looking for help with Team Foundation Server? Want to start using Scrum with TFS? Need some assistance with DevOps? We can help. Drop us a line at info@benday.com.